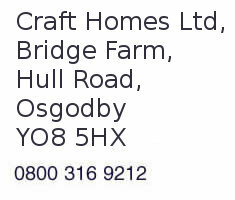 Craft Homes Ltd can give you expert advices, whether you are an architect looking to specify a roofing product for a project, or a builder wanting to cure a problematic roof. Our knowledge and expertise in the GRP roofing industry is second to none. We would be pleased to have the opportunity to give you a free no-obligation survey and quotation. To view examples of our work please feel free to browse the gallery.